Rocky Rex's Science Stuff: Climate Change - Hotter or colder? The energy that affects the climate on the Earth originates from the Sun. The energy emitted by the Sun passes through space, until it hits the Earth’s atmosphere. Only about 40% of the solar energy hitting the top of the atmosphere passes through to the Earth’s surface. The rest is reflected, or absorbed by the atmosphere. Here are some of the many factors that can cause the Earth's climate to get hotter or colder. These factors are sometimes referred to as 'forcings'. 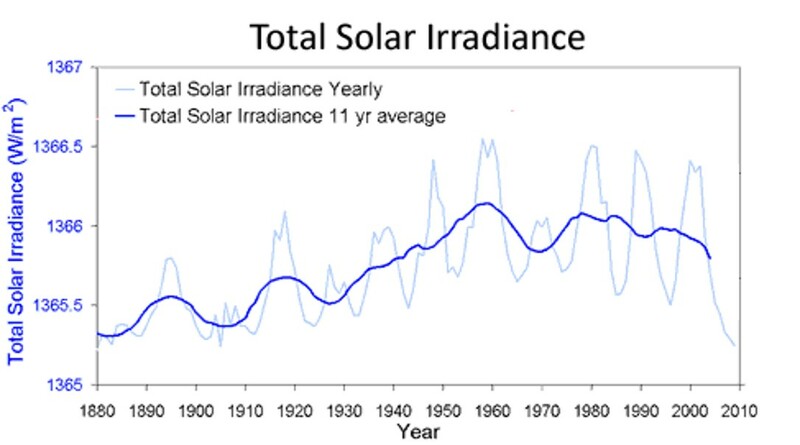 The energy output of the sun is not constant, it varies over time. Recently it has been reducing slightly. The next two factors are astronomical cycles. The Earth’s orbit around the Sun is an ellipse, not a circle, but the ellipse changes shape. Sometimes it is almost circular - and the Earth stays approximately the same distance from the Sun as it orbits. At other times the ellipse is more stretched, so that the Earth moves closer and further away from the sun as it orbits. This angle changes with time. Over about 41 000 years it moves from 22.1 degrees to 24.5 degrees and back again. When the angle increases, the summers become warmer and the winters become colder. Of these, water vapour makes the greatest contribution to the greenhouse effect because there is more of it. However, if one of those gases increases or decreases more than the others, it will be that gas that begins to affect the global temperature. For example, Britain was near to the equator 300 million years ago, and therefore was hotter than it is today. 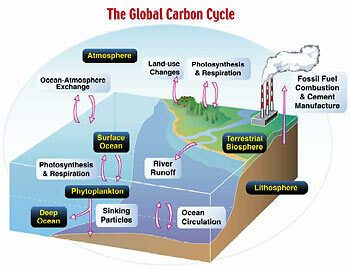 This in turn would contribute to a warming of the oceans. 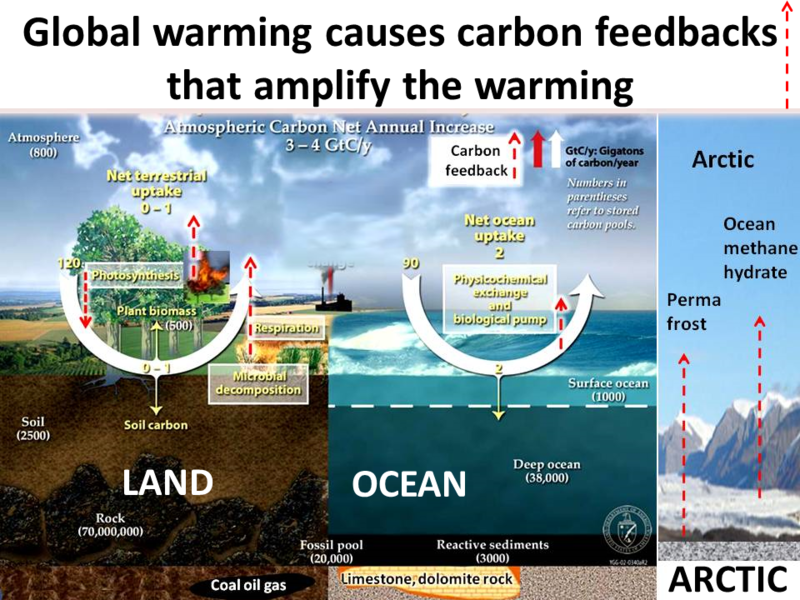 Warm oceans are less able to absorb CO2 than cold ones, so as the temperature rises, the oceans release more CO2 into the atmosphere, which in turn causes the temperature to rise again. More on climate feedbacks here from the UK Met Office. This post is largely based on material produced by the British Geological Survey.